Cologne - The Bundesliga is about to hit homes around the globe with its exciting brand of dramatic and emotional football set to be broadcast from 2015/16 in many territories worldwide by Fox. The first schedules up to the end of September have just been released and fans in North America are in for a particular treat. With its TV channels Fox Sports 1, Fox Sports 2, Fox Soccer Plus and Fox Deportes, Fox has got the Bundesliga covered from all angles. Indeed every single game will be available to subscribers to those channels with Fox Sports Go ensuring those matches which there is no room for on the box will be streamed live. Fox's USA deal is part of a worldwide rights deal between 21st Century Fox and the Bundesliga that spans North and South America, Asia and much of Europe. 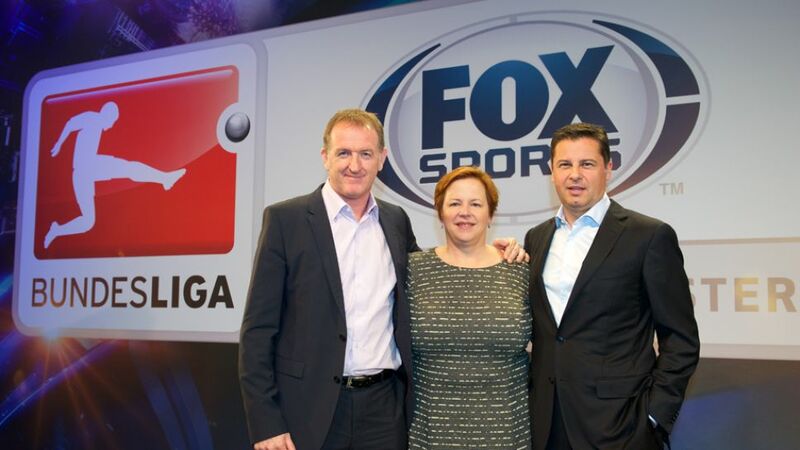 The corporate parent also owns Sky Deutschland, the Bundesliga's big domestic broadcaster, giving Fox great access to pre-packaged and custom-produced content such as highlight and preview shows during the week. Speaking to Philly.com about Fox's coverage of one of the world's most exciting leagues, Fox Sports' executive producer for football Jonty Whitehead said: "Where the Bundesliga is in terms of organisation, in terms of world feed running orders, the ability to book on-site facilities to put our own reporters in there, it's exceptional." "And the quality of the product - I'm talking about the first replay of a goal, that needs to be right. You want to see the guy that won the tackle and the ball over the top instead of just the super slow-mo. They are the best at that, they've got it down to a fine art." "Our viewers do know a couple of these clubs - they know FC Bayern München and they do well on our air," Whitehead added. "They know [Franck] Ribéry, [Arjen] Robben, Manuel Neuer. There's an appetite for those guys, and there's an opportunity for us not just to tell them about Bayern and Dortmund."